A weeks-long power struggle over the control of Telecom Italia between Vivendi and a US activist fund comes to a head Friday when shareholders vote on a new board. Vivendi, which is the largest shareholder in Telecom Italia (TIM) with a stake of around 24 percent, has been at loggerheads with activist fund Elliott—which holds just over nine percent—since Elliott demanded the removal of six board members in mid-March. Vivendi has de facto control of TIM thanks to its stranglehold on board and executive positions, and Elliott has repeatedly blasted the company's performance since "Vivendi nominees" joined the board in December 2015. That request prompted the resignations of eight TIM board members which triggered Friday's showdown meeting to elect a new board. 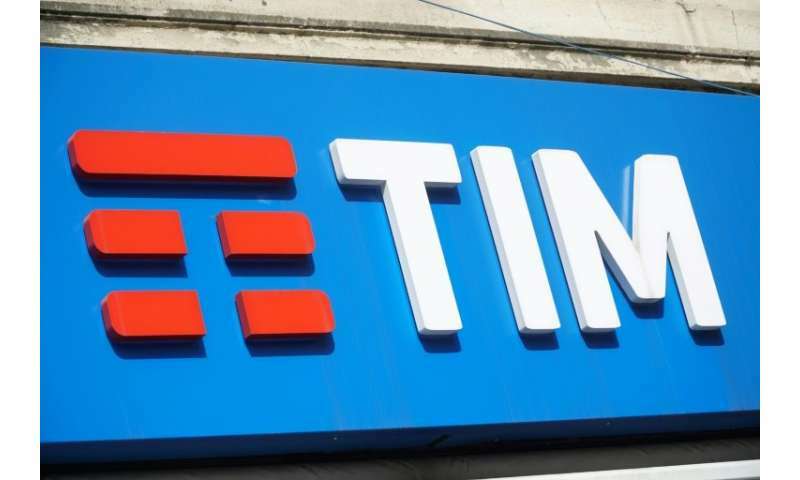 Italian media are reporting that 65 percent of TIM shareholders will take part in the vote, which will be held in a meeting scheduled to start at 0900 GMT. The higher the turnout, the better Elliott's chances of forcing change. Elliott, which believes that an "independent" board is needed to improve TIM's governance and performance, has put up 10 candidates well-known in the Italian business world, including Luigi Gubitosi, current extraordinary administrator of failing airline Alitalia, and Fulvio Conti, former CEO of Enel. The Vivendi slate includes its CEO Arnaud de Puyfontaine, who is the group's candidate for chairman and one of board candidates who Elliott wanted dismissed. Elliott has castigated governance issues and "conflicts of interest" such as TIM's January 2017 awarding of an advertising contract to Havas, which is owned by Vivendi, worth a rumoured 100 million euros ($123 million). Vivendi accuses Elliott, sometimes called a "vulture fund", of having a short-term vision and wanting to "dismantle" TIM. However Elliott has backed current director and general manager Amos Genish, who said on Sunday that he would resign if Elliott succeeds in obtaining a majority on the board. Genish is a well-respected figure who won the support of an overwhelming majority of shareholders at last week's meeting. "If the Vivendi slate does not get the majority of votes, because this is clearly the only slate to support our long-term industrial plan, I firmly believe my position (...) would be untenable," Genish told the UK's Daily Telegraph. The vote is important for Vivendi's position in Italy, which is already in bad shape following its conflict with the Berlusconi family over Mediaset. The influential consulting firms Glass Lewis, ISS and Frontis have recommended voting with Elliott, which leant money to the Chinese investors who bought football club AC Milan from Berlusconi. Italian fund Assogestioni and Blackrock, which has a 4.9 percent stake in TIM, will likely support Elliott, while Italian media, citing financial sources, suggested that state-controlled entity Cassa Depositi e Prestiti (4.7 percent) would do the same. The Italian government recently described Vivendi as "a very bad shareholder".